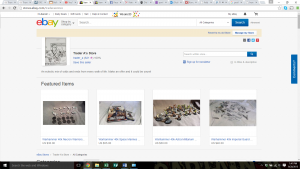 Captain A Buys and Sells Warhammer 40k, AOS, and more! Welcome to the Trader A Emporium hosted by your friend CaptainA! I was raised in the world of small business. My parents owned and operated a second hand store from about 5 years of age to my College years. Now they run and own a successful gunsmith business. I’ve always been fascinated by the small business model, but it wasn’t to be my path. I went into teaching, where I have been working for over a decade working as an elementary school teacher. Living on that income though, especially for a family of four on one income can be tough, so I went out to find ways to make extra cash. For eight years, I wrote for About.com as the Comic Book Guide, and while that was enjoyable, it also burned a lot of the comic enjoyment I had as a kid. I finally left that gig and still needed to work extra to meet our financial goals and fell into the world of buying and selling used goods. I buy storage lockers (ala Storage Wars), buy lots at auctions (like estate auctions), and have also dabbled in buying and selling Warhammer and other tabletop games. The secondary market is something I know quite well as I am constantly buying and selling what I have to get what I want. 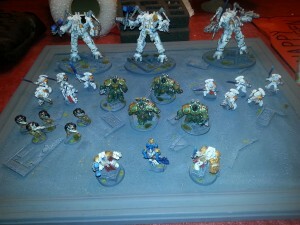 I run an eBay store – Trader A, where i sell a variety of used goods, including but not limited to, Warhammer 40k. 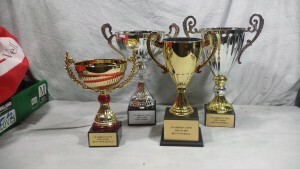 Since I am becoming slightly more known in the Warhammer world, writing articles and doing grunt work for Frontline Gaming, TO’ing the Guardian Cup, and travelling to 40k tournaments in the US, I thought it might be good to merge some of those areas to help take care of my family and expand my current business and push it in a direction I’d like to be more involved in. The second hand gaming business. 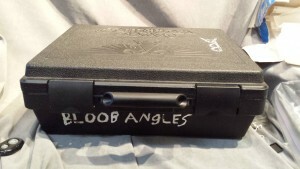 I plan to offer cash for used gaming merchandise, preferring tabletop games such as Warhammer 40k, Age of Sigmar, Warmachine/Hordes, and any other tabletop strategy game that is produced and sells on the open market. Its rather simple, send me a list of what you have, I make an offer and you ship it too me. Once I verify the contents and condition, you get paid via Paypal. This gets you out of the models you no longer want with cash in hand to apply it to other areas. Now I will be up front with you, I aim to make a profit on what I get so the margin will be much less than if you go and sell it yourself. If you have the time and inkling, go for it! There is plenty of room in the second hand market scene, but it you don’t have the time or wherewithal to break up, picture, list, and ship your items. I have everything already set up and ready to go. You get cash up front and I do the work to recoup my money and make a profit. List what you have. List the item and condition. Send me an email at captainaka@hotmail.com. I’m excited about where this might take me. I plan on supporting the tournaments I go to with gift certificates to my store and give back to the community that I enjoy so much. Who knows, maybe one day I’ll get a vendor table at the LVO and sell my merch there to. Either way, I plan on pushing my business forward to help ensure the financial stability of my family so we can meet our goals, get out of debt, and not worry about living paycheck to paycheck. Got some old Warhams sitting in the closet collecting dust? Shoot me an email and maybe we can get you some cash to go play with! Copyright © 2019 Trader A. Proudly powered by WordPress. Blackoot design by Iceable Themes.